A child below the age of 18 years has a right to receive support from their parents whether they are together or not. 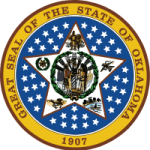 The Oklahoma child support laws provide a guideline of how such laws should be used to calculate how much both parents should contribute for child support. Expenses such as insurance, education and child care needs should be included to compute how much one should contribute for financial support.